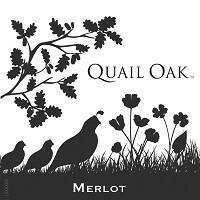 This week’s bargain wine of the week is Quail Oak Merlot. 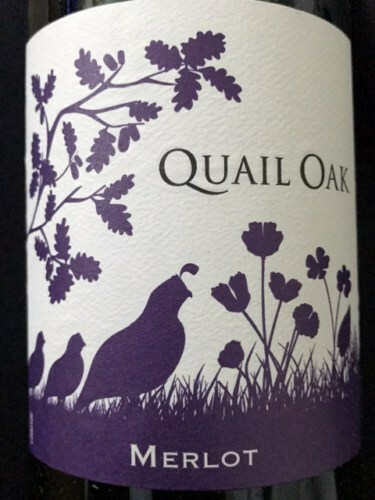 Quail Oak is Safeway’s own brand wine; an attempt to tap into the market created by Trader Joe’s infamous Two Buck Chuck. We have found some gems researching this ongoing series for our blogs; this wine is not one of them. In the glass, the wine was semi-transparent with an opaque core; looking more like a Pinot Noir than a Merlot. The nose was of medium intensity; rubbing alcohol with a wafting impression of cherry candy. The evidence from the observation of these first two senses was not encouraging. The overwhelming impact in the mouth was of a far too high acidity. There was the slightest hint of cherry. The finish was bitter and acidic; it was mercifully short. After we had taken a couple of tastes of this wine, we tipped the rest of our glasses and the bottle down the sink. Quail Oak Merlot is listed as having a retail cost of $6.99, but California Girl paid just $1.99. Even at this lower price, I cannot recommend the wine. The acidity and lack of flavour mean that it would not even serve as a base for a Sangria. sadly, we to have had sink worthy wines. And at a lot more than $1.99. ! I think you’re altogether too harsh: as an accompaniment to spaghetti or pizza this is just fine. Rubbing alcohol? Cherry candy? Bitter? Acidic? Not at all what I experienced. The thing is that we all have different tastes. Each of us experiences flavor in a different way. We are looking for characteristics in wine that you aren’t. Our reviews are our opinion. But as always, you should drink what you like and not what some expert says. Where is this wine available? Safeway has the cabernet sauvignon, but not the merlot. The Safeway in Fairfield shows the Quail Oak Merlot (as well as eight other wines in the Quail Oak range).